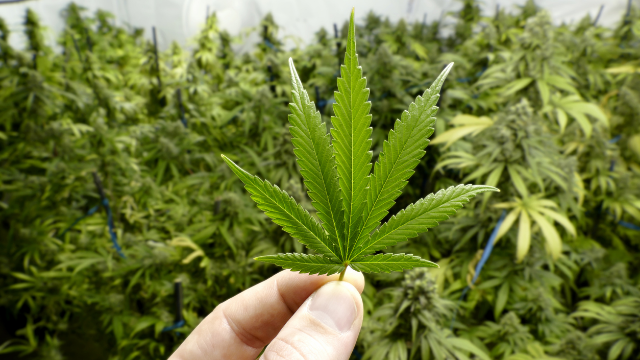 Data taken from Top-Down Analytics (TDA) Research report: The Cannabis-Analysis Market in North America 2018. The legal cannabis market is expected to grow rapidly in North America over the next five years, approaching a quarter of a billion dollars in 2021 (the same value as markets for chocolate or craft beer). The market in California alone is expected to make up more than one-fourth of the total North American market by 2021. One of the requirements for the retail (legal) cannabis market is testing of the product for potency, purity, and other qualities. With the expected surge in demand, the market for cannabis analysis is projected to double from the tens of millions in 2017 to the hundreds of millions of dollars in 2022. California and Canada will be particular drivers of growth for the cannabis-analysis market given their particularly strong projected legal cannabis markets. Many horizons are yet to be explored in the medical and pharmaceutical uses of cannabis which will also see demand for analytical technologies increase. A Merrill Lynch report puts the market for analytical cannabis testing conservatively at $50-100 million by 2020 and more optimistically at $150 million. Cannabis is a business that is moving from the black market to the legal market and testing is playing a part in elevating it to meet the standards required of other legal substances. Instrument manufacturers who can adapt to this changing landscape will find themselves in a position to reap the rewards of a market that is poised for extraordinary growth. This rapidly developing industry faces significant challenges, particularly in the US. Federal laws prevent companies from writing off business expenses related to cannabis production and testing, creating financial instability for them. In addition, the companies have limited access to the banking sector, making the purchase of high-end equipment for testing difficult. Harmonised cannabis purity and potency standards are lacking at federal level, and each state, sometimes even each city, has its own laws and standards. Currently, high performance liquid chromatography (HPLC) and liquid chromatography/mass spectrometry (LC/MS) account for about half of the market demand for testing, followed by gas chromatography and gas chromatography/mass spectrometry (GC/MS) and inductively coupled plasma mass spectrometry (ICP-MS), together accounting for most of the remaining half of the market. With the exception of the US FDA-approved programmes, cannabis is illegal under federal law. However, some states have enacted legislation that allows cannabis for medical or adult (recreational) use. In November 2017, the federal House of Commons passed legislation legalising cannabis for adult (recreational) use. The Cannabis Act came into force in July 2018, removing cannabis possession for personal consumption from the Controlled Drugs and Substances Act. There are only a few research institutions in North America dedicated to studying cannabis due to its status as a Schedule 1 drug in the US. One such institution is the UC San Diego Center for Medical Cannabis Research, which will be receiving $2 million in funding each year, as dictated by California Proposition 64, which made cannabis for adult use legal in the state. Other states are also funding research efforts and establishing licensing programmes that are allowing researchers to study the medical and social effects of cannabis. Currently, any scientist wanting to study cannabis must obtain a special license through several federal agencies including the DEA. Last year the DEA announced that it would allow other research institutions to apply to grow the plant for research use in order to meet a growing demand for research-grade cannabis. Canada is well on its way to establishing businesses as well as research institutions dedicated to cannabis. Niagara College has become the first institution in Canada to develop a one-year, post-graduate programme in commercial cannabis production. Two Canadian Universities have recently established research chairs for cannabis. Cannabis companies are also teaming up with the national government to fund research, and pharmaceutical companies are showing interest in supporting research into cannabis’ medical potential. In all US states with adult legal use on the books, laboratories are required to register with the state as official cannabis testing labs. In some cases, labs are classified by which tests they are certified to perform. Most cannabis-derived pharmaceuticals are sold at a state level and are not always tested for QA as rigorously as products that would be approved by the FDA. However, there are a few well known products that are derived from cannabis which are demonstrating significant sales. Sativex is sold in 27 countries and is used to treat MS spasticity. The lucrative nature of the legal cannabis market is making consumers, companies and institutions reconsider their pre-conceived ideas about the substance. Although the novelty of being able to purchase cannabis legally will certainly drive the market, many new users will genuinely be seeking relief from various ailments, not just to get high. The fast-paced growth of this market is already generating demand for analytical technologies due to the testing requirements that the states have, and will, adopt. If the rest of the US, and other countries around the world, shift towards legalising cannabis, the demand for testing will sky-rocket, and it may well exceed its projected 2022 value of $135 million. The Scott Partnership work closely with many companies who are involved in the analytical testing markets that are outlined in this new report, some of whom are already operating in the cannabis testing arena. If you would like to gain an insight into communicating the benefits of your analytical equipment in this exciting and growing market, contact us for more information. To find out how you can buy this full report from TDA, or for details on how to make the most of the cannabis market, contact us. Originally published May 17th 2018 By Claire James, Account Director at The Scott Partnership.